This beautiful little lavender smocked sleeveless dress is made by Will'beth, a leading designer of beautifully detailed children's clothing for more than 30 years. 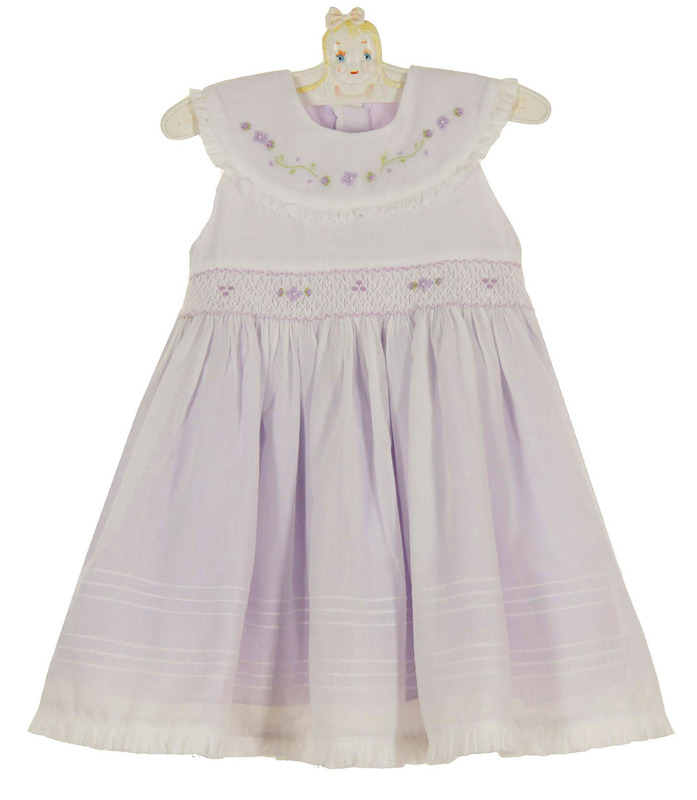 This sweet dress features a lavender under layer with a white voile overlay. Delicate lavender and white smocking with lavender embroidered flowers centered with tiny seed pearls accents the bodice. The full skirt has two triple rows of pintucks above the ruffled hem. 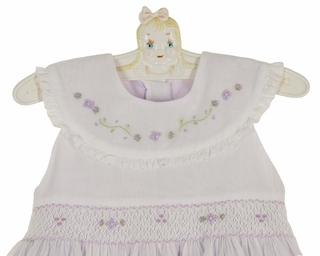 The dress closes in the back with small buttons and has a sweet sash to tie in a bow. What a darling little dress for your baby or toddler girl for Easter, portraits, or any spring or summer occasion!